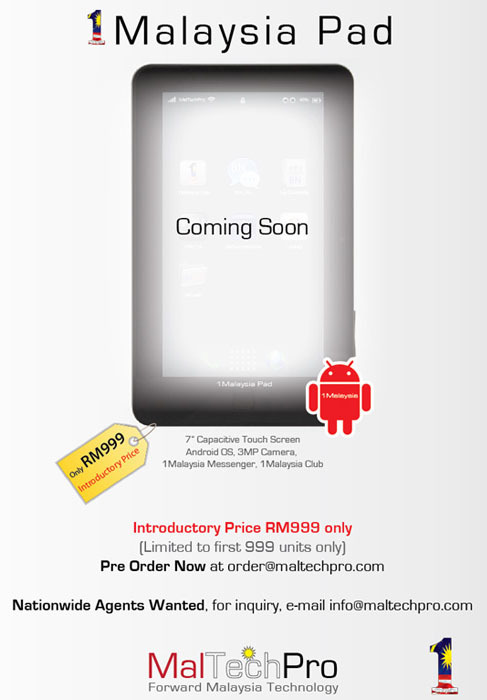 Touted to be the first Malaysia made 7-inch Android tablet, 1Malaysia Pad, or 1Mpad was announced in May 2012 with an introductory price of RM999 (US$330). However, until today there is no news yet of its release to the market. It would be very interesting to read review of the so-called 5,000 units already sold so far, as reported by Harian Metro. This Malaysian made tablet PC is scheduled to be released and available in Malaysia market before Hari Raya Aidilfitri and is expected to be retailed much lower than the 1Mpad. 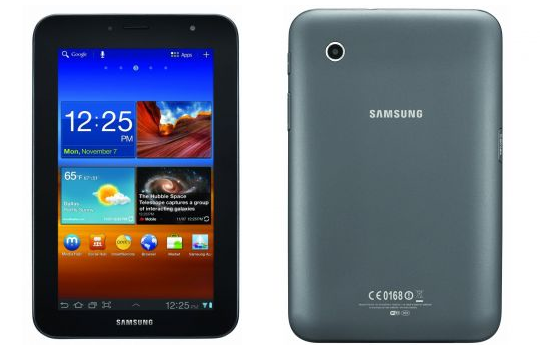 2) Samsung GALAXY Tab 2 (7.0) - improved version. 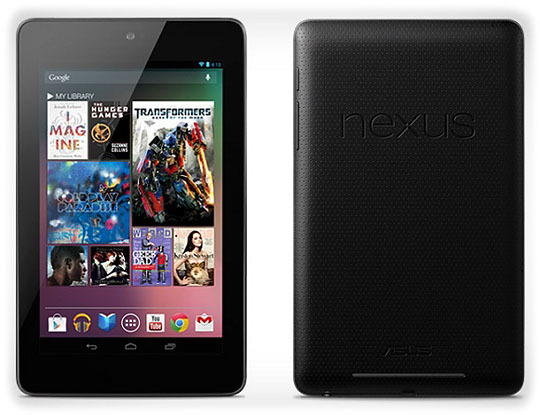 Samsung’s first Android 4.0 (Ice Cream Sandwich)-powered tablet offers a variety of new and improved Android OS features. An upgraded Android Market enables access to more than 400,000 applications which can be enjoyed across phones or tablets. 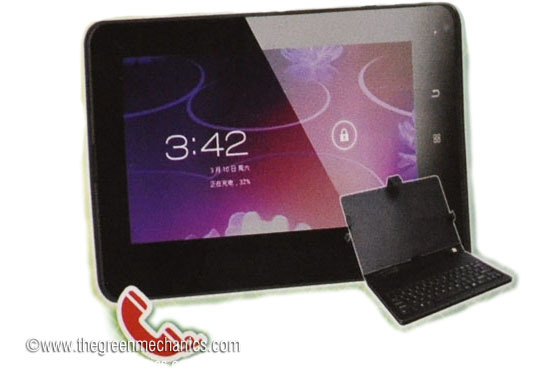 There are other lesser known brands but similarly specced (with the 1Mpad) in the local market such as CSL, and few China-made tablet PCs. Choices are abundant, some with better features than the 1Mpad, so, we will not be too surprised if it struggle to make an impact. Perhaps it will not even be hitting the ground outside a pre-determined market (students, etc), without government intervention. The money is yours; it's your choice. baik beli samsung galaxy tab je.. Here's some good news for everyone! GotoCamera the world's leading surveillance, monitoring, and security service with over 100,000 customers from over 180 countries, has come out with GotoCamera compatible wireless IP cameras. These cameras are now available for sale, for only $99, including shipping and 1 year of GotoCamera Premium Service FREE! The cameras are small and compact and can be placed anywhere. They also have pan-tilt capabilities. I am drawn to the Samsung GALAXY Tab 2 (7.0).. :). Great alternative I imagine. @Angie - since you are iPhone user, perhaps the iPad Mini, expected to be 7-inch (to be announced next month) is of interest to you. sama je la..tab 2 ka 3 ka..kalau sama gak fungsi dia pon tak guna jugak bli yg mhal..huhu..